Click on Community Information for helpful and complete relocation information. 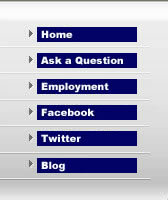 Click on Local Businesses to view WebAds of local businesses who want to serve today's military. USCG Honolulu is located Honolulu, HI. ISC Honolulu is home port to Cutters Assateague, Washington, Rush and Jarvis. There are over 1,500 active duty along with 1,000 dependents and civilians on base.